Google Analytics will now start tracking your video data, although this can take up to 24 hours to take effect. 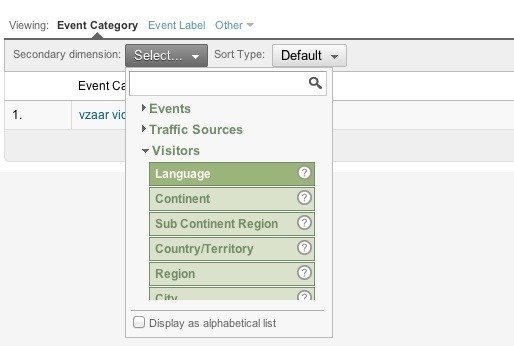 See the section entitled "vzaar Video Page on Google Analytics" below for directions to your video page on Google Analytics. How many times your video has been viewed. When the video is viewed. Where the video is viewed (geographically). How much of the video is played. Using Google Analytics for the First Time? First copy the tracking embed code that Google Analytics will present you with when you first make your account. Embed this code onto any website. Note: it does not matter at all which website you choose to embed this code on, even if the site does not contain any of your videos. 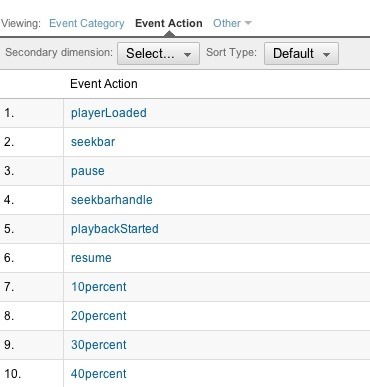 This code simply enables Google Analytics to start tracking your videos. Google Analytics will now track all of the videos on your vzaar account. Note about pre-made blogs: There are lots of pre-made blogging websites out there and it may be that the above instructions are too general for the particular site. If this is the case then you can either take a look at their help documentation (e.g. search for "How to Add Google Analytics on Blogger/ Tumblr/ Wordpress" etc.) or you can ask one of our support staff for help setting up your tracking code on a particular website. Now if you select Event Label you will see a list of all of the videos on your vzaar account that has been actively played or seen. These are labeled by their vzaar video ID. What do the Event Actions Mean? These reports can be exported in a variety of formats, including PDF and CSV. 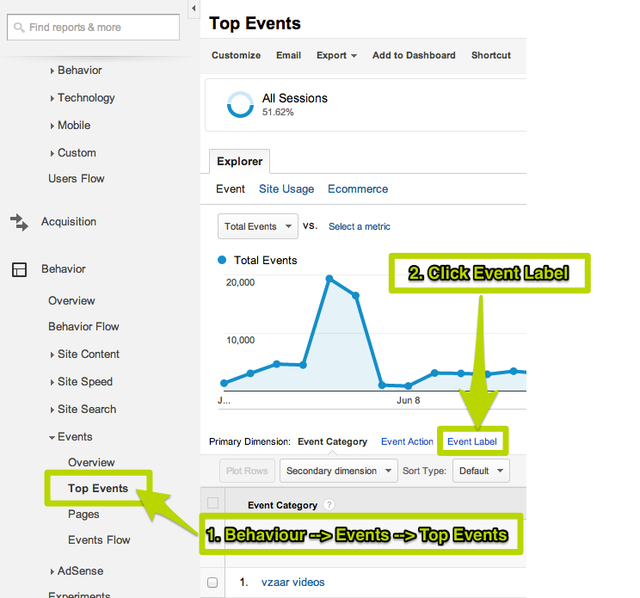 For more information about Custom Reporting, visit the Google Analytics help pages.